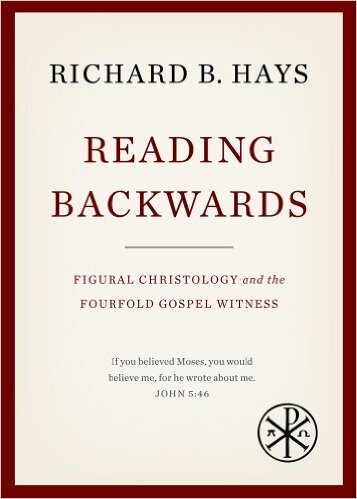 Richard Hays, Reading Backwards: Figural Christology and The Fourfold Gospel Witness. Waco: Baylor University Press, 2014. 240 pp. $34.95, hardcover. Reading Backwards is the fruit of the Hulsean Lectures at Cambridge University and part of a larger project that Professor Hays intends to release in the future. The aim of the book is clear: to “offer an account of the narrative representation of Jesus in the canonical Gospels, with particular attention to the ways in which the four Evangelists reread Israel’s Scripture, as well as the ways in which Israel’s Scriptures prefigures and illuminates the central character in the Gospel stories” (p. x). Though obviously the “historical Jesus” cannot be divorced from the testimony of the four Gospels, Hays focuses his attention on the narratives. Reading Backwards is divided into six chapters, the first of which introduces the reader to the larger hermeneutical issues and how the Gospels compel us to understand the Old Testament in light of Christ. Since Hays chooses his words carefully and many of the issues are delicate, I will cite him more freely. Early in the first chapter, Hays defines what he means by “figural interpretation” or a “figural reading,” a concept indebted to Erich Auerbach. He says, “Figural reading need not presume that the OT authors—or the characters they narrate—were conscious of predicting or anticipating Christ. Rather, the discernment of a figural correspondence is necessarily retrospective rather than prospective” (emphasis mine; p. 2). But once the second event or pattern is determined, one can go back and reread the first event or pattern with greater insight. In other words, the four Evangelists retrospectively read the Old Testament and find the person Jesus squarely in the middle of Israel’s Scriptures. Once the Old Testament is understood in light of Jesus, the Evangelists can go back and reread the Old Testament in its original context in a fresh way, obtaining deeper insight into the original meaning. Hays succinctly states, “We learn to read the OT by reading backwards from the Gospels, and—at the same time—we learn to read the Gospels by reading forwards from the OT” (p. 4). At the end of chapter, Hays once again comes back to this hermeneutical concept, giving us a bit clearer understanding of how “prefiguration” works: “The literal historical sense of the OT is not denied or negated; rather, it becomes the vehicle for latent figural meanings unsuspected by the original author and readers” (emphasis mine; p. 15). Some meaning in the Old Testament, therefore, is “latent” or hidden from its original authors, awaiting the day when a second, final revelation of meaning will be disclosed. Since Hays holds to Markan priority (that is, Matthew and Luke depend on Mark), he begins his journey into the gospel accounts with Mark. As Hays selects a few Old Testament quotations and allusions, he attempts to trace Mark’s enigmatic depiction of Jesus in light of the Old Testament. He deftly probes Old Testament quotations/allusions, such as Daniel 7:13-14 (Mark 14:61-62), Isaiah 40:3 and Malachi 3:1 (Mark 1:2-3), Psalm 107 (Mark 4:35-41), and Job 9:8 (Mark 6:45-52). The result of his investigation is that “Jesus is the mysteriously embodied presence of Israel’s God” (p. 26). Though Jesus is indeed Yahweh incarnate, Mark appears to “distinguish Jesus from Israel’s God” (p. 27; see Mark 13:32). Chapter one concludes with a creative section on how the person of Jesus, as depicted in Mark’s gospel, is deemed a “mystery.” Jesus, like the parables in Mark 4, is veiled or hidden to outsiders. But those who “have ears to hear” understand how Jesus fits admirably into the Old Testament story. The person of Jesus, his identity and message, are revealed at the moment of his death. Chapter 3 examines Jesus in Matthew’s narrative, particularly how Jesus fulfils Old Testament patterns and eminent persons, such as “Moses, David, and Isaiah’s Servant figure” (p. 38). Central to Matthew’s narrative lies the fulfillment of Isaiah 7:14 (“They shall name him Emmanuel”) in the person of Jesus. “This motif of Jesus as the manifestation of God’s presence establishes the structural framework on which the [Matthew’s] story is built” (p. 38). Hays then tackles the notoriously difficult Hosea 11:1 quotation in 2:15 and surmises that Jesus “recapitulates” the nation of Israel. He proceeds to examine the larger context of Hosea 11, focusing on 11:9, where it reads, “the Holy One in your midst.” This is a remarkable connection, one that is often overlooked. Several OT quotations/allusions are evaluated in light of the “Emmanuel” theme—Jeremiah 31:15-17 (Matt 2:17-18), Deuteronomy 6:13 LXX (Matt 4:9-10), Isaiah 40:7-8 (Matt 24:35), and Genesis 28:12-17 (Matt 28:20). The upshot of these rich quotations/allusions in Matthew is that “Jesus is the embodied presence of God and that to worship him is to worship YHWH” (p. 53; italics original). Falling in line with his approach to the Mark and Matthew, Hays evaluates Luke’s gospel by listening closely to his portrayal of Jesus, particularly as it relates to the Old Testament’s expectation of Israel’s “redemption.” Luke clusters Old Testament quotations/allusions in his opening and closing, desiring that the reader read the entire narrative forwards and “backwards” (p. 58). In the introductory portion of the chapter, Hays discloses a bit more how he connects the Old Testament with Jesus: “The [Luke’s] story keeps moving and leaves us with a powerful but indistinct sense of analogy between God’s saving acts for Israel in the past and the new liberating events coming to fulfillment in the story of Jesus. Thus, many of the OT echoes in Luke do not function as direct typological prefigurations of events in the life of Jesus” (p. 59; emphasis mine). We will deal more with this connection between the two Testaments a bit later, but it’s important to note that, for Hays’ understanding of Luke’s gospel, Jesus’ actions do not operate on a promise-fulfillment plane but on an analogical one. The meat of the chapter on Luke entails several expositions of Old Testament quotations/allusions that point unambiguously to Jesus’ identity as Israel’s God (e.g., Luke 1:32, 76; 3:22; 9:35). Of particular interest is Luke’s citation of Isaiah 40:3-5 in 3:4-6. Where Isaiah anticipates Yahweh’s redemption of Israel from Babylon, Luke identifies the person of Jesus with Yahweh or “Lord” (p. 63-64), who has begun to redeem true Israel from spiritual captivity in a new exodus of sorts. At the end of the chapter, Hays suggests that Luke may have removed some of Mark’s “non-divine-identity material,” thus heightening the Christology (p. 72-73). According to chapter five, the Fourth Gospel, like the other three gospels, encourages the audience to reread the Old Testament in a new light, with a particular focus on the person of Jesus (p. 77). Hays helpfully observes that John’s gospel contains fewer Old Testament quotations than his predecessors, but weaves the Old Testament story into the very fabric of his narrative through his depiction of several “images and figures from Israel’s Scripture” (p. 78). In other words, rather than citing the Old Testament explicitly at every point, John makes use of Old Testament symbols and imagery. Hays also notes a change in John’s gospel. Once Jesus withdraws from his public ministry, John begins to use the key word “fulfill” in his narrative (e.g., 12:37-40 [Isa 53:1; 6:10]; 13:18 [Ps. 41:9]; 15:24-25 [Pss 35:19; 69:5]; 17:12 [Ps 41:9?]). The upshot of this shift is that “the Evangelist is explaining that the suffering and rejection experienced by Jesus in the passion story was not some unforeseen disaster; rather, it was foreordained and played out in fulfillment of God’s will, with Jesus’ full knowledge and participation” (p. 80). After Hays connects the Old Testament conception of the “preexistent figure of Wisdom” (Prov 8:22-31) and the creation narrative of Genesis 1 with John’s prologue, which he deems a midrash of sorts (p. 84), he once again probes the connection between the Testaments. Hays surmises that the Fourth Gospel, more than the other three, advances a “reading backwards” strategy for understanding the Old Testament in light of Jesus. Chapter 6, the final chapter of the project, Professor Hays synthesizes his findings and offers some advice on how we, as the church, can and should read the Old Testament in light of Christ. He defines with some clarity as to what “prefiguration” means—“the discernment of unexpected patterns of correspondence between earlier and later events or persons within a continuous temporal stream” (p. 93). The Evangelists reread the Old Testament in light of the person of Christ and discovered new meaning of these Old Testament passages. The Evangelists then reevaluated Christ and his ministry in accordance with their rereading of the Old Testament and grasped even more about Christ. Importantly, Hays admits that a “figural christological reading of the OT is possible only retrospectively in light of Jesus’ life, death, and resurrection. Thus…it would be a hermeneutical blunder to read the Law and the Prophets as deliberately predicting events in the life of Jesus” (p. 94; italics original). The second half of the concluding chapter is devoted to “Gospel-Shaped Hermeneutics.” That is, reading the Old Testament like the four Evangelists. Above all, Hays claims, the church must possess a robust understanding of the Old Testament and “get these texts into our blood and bones” (p. 103). Hays lists ten ways in which the Gospels instruct us on how to read the Old Testament. For our purposes, I will only list a few of the more prominent ones. His first point returns once more to prefiguration. The church must detect Old Testament patterns or prefigurations and connect them to Christ. Hays then claims that “the ‘meaning’ of the OT texts was not confined to the human author’s original historical setting or to the meaning that could have been grasped by the original readers” (emphasis mine). Instead, he argues, the Old Testament contains “multiple senses,” and “some of these senses are hidden, so that they come into focus only retrospectively” (p. 104; emphasis original). Point number four focuses on how we ought to read the Old Testament holistically and not piecemeal with a focus on select oracles or prooftexts. The ninth point is really the thrust of the project. Once we understand the Old Testament and Jewish background of the Gospels, we will identify Jesus “as the embodiment of the God of Israel” (p. 107). His tenth and final point continues this theme. The God of the Old Testament, the God of the Patriarchs, and Israel is the same God of the New Testament. This same God has become incarnate in the person of Jesus. Richard Hays is to be highly commended for this project. Reading Backwards is one of the more creative and refreshing books I’ve read in some time. His writing is crisp, even entertaining at times. Professor Hays is one of the pioneers in the broad field of the use of the Old Testament in the New. His early work, Echoes of Scripture in the Letter’s of Paul, continues to serve as a methodological guide for students and scholars. Hays has spent much of his career in Paul, so it’s encouraging to see him apply his method to other portions of the New Testament. Reading Backwards successfully demonstrates that Jesus is indeed Israel’s Lord incarnate. The genius of this short volume lies in Hays’ deft appropriation of Old Testament texts in the Gospels. He pays attention to often overlooked details in specific Old Testament texts, teasing out some of the nooks and crannies, and then weaves these insights into the Gospels. The book not only demonstrates how the Evangelists read the Old Testament, it also serves as a model for us to do the same. Evangelicals often disagree on how the New Testament authors quoted the Old Testament. Does the New Testament quote the Old Testament contextually? Should we, as the church, imitate apostolic hermeneutics? While many evangelicals answer both questions in the negative, Hays would generally answer in the affirmative. I appreciate how Hays, in his final chapter, argues that the church can and should imitate the four Evangelists’ reading of the Old Testament. I have a few areas of concern, however. Practically, the book, weighing in at 109 pages (excluding endnotes, indices, and bibliography), lists for about $35. It’s enough to make a potential reader pause before purchasing. Secondly, while I’m thankful that the book is geared for a wide audience, I always prefer footnotes over endnotes. Regarding the content of the book, I’d like to see Hays deal more with Jesus as the Last Adam and true Israel. He has only one reference to Genesis 1 in the entire project (p. 78). He spends a bit of time on Jesus as Israel in his section of Matthew, but there isn’t much development. The project is not an attempt to evaluate all aspects of the person of Jesus in the four Gospels, but I’d like to see more attention given to this often neglected area. It is just as crucial to understand Jesus as Adam/Israel as it is to understand his identity as Yahweh incarnate. My main issue with the book lies in Hays’ broader understanding of how the two Testaments connect at a fundamental level. Hays advances a “dialectic” in reading the Old and New Testaments. Each informs the other. I have no problem with this in theory, but I’m a bit concerned with how Hays works this out. 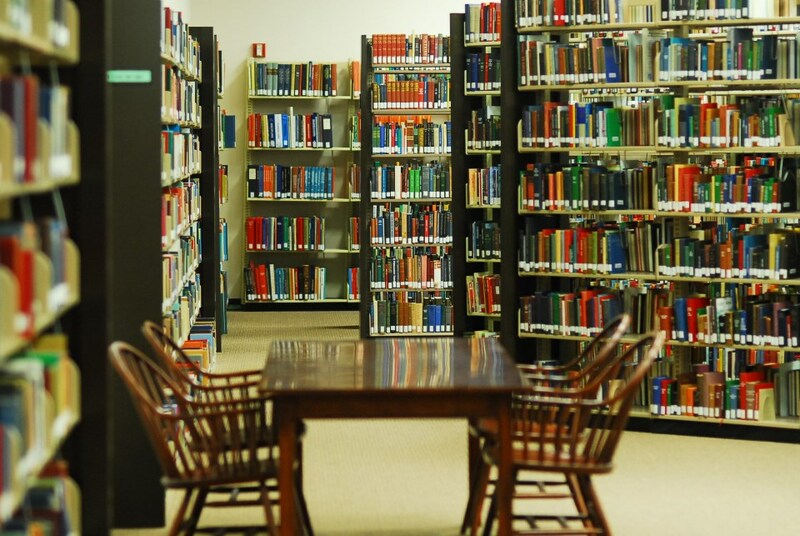 He advocates a “rereading” or a “retrospective reading” of the Old Testament, where the Evangelists (and the church) reexamine Old Testament passages in light of Christ and discover new or “latent” or “unsuspected” meaning (p. 15). This conviction comes to the fore at the end of the book when he claims that “the ‘meaning’ of the OT texts was not confined to the human author’s original historical setting or to the meaning that could have been grasped by the original readers” (p. 104; emphasis mine). It appears that Hays advances a hermeneutical theory that denies the authorial awareness of how a particular Old Testament passage would be later used in the New Testament. For Hays and others, meaning thus tends to be retrospective. To be fair, he claims that once the Old Testament has been “reread,” it can then inform the meaning of the New Testament—a prospective reading of sorts. But it’s precisely at this point, where Hays is vague. He is unconformable with “typology” at times and, in the case of Luke, he prefers “analogy.” It’s therefore unclear how a rereading of Old Testament passages informs the New Testament. This general theory of reading retrospectively is widely held, even within evangelical circles. But could it be that Old Testament authors, though not knowing fully how their words, depiction of events, and experiences, possessed some inclination in how their writings would be used in a subsequent manner? In other words, would the prophet Isaiah be shocked beyond belief that Israel’s God would be incarnate when he pens, “The virgin will conceive and give birth to a son, and will call him Immanuel” (7:14)? Recall that two chapters later, Isaiah goes on to write: “For to us a child is born, to us a son is given, and the government will be on his shoulders. And he will be called Wonderful Counselor, Mighty God, Everlasting Father, Prince of Peace” (9:6). Though I doubt that Isaiah understood the full meaning of his oracles, I suppose that he indeed had some inclination. When the New Testament indicates a fresh reading of Old Testament passages or concepts, it uses the key word “mystery.” A “mystery” signals the hidden but now revealed wisdom of God, particularly, as it relates to eschatology. But even at these junctures, the New Testament writers, while highlighting discontinuity or the “unexpectedness” of the Old Testament, affirm some continuity (e.g., Rom 11:25; 1 Cor 2:7; Eph 3:3; 5:32). In the end, I’m unconvinced that the meaning of any Old Testament passage in the New Testament is completely severed. Though we somewhat disagree on aspects of hermeneutics, I commend Reading Backwards, as it encourages the church to read the Testaments as a whole and elicit faith in Christ.